The public identification of a witness to the MH17 crash is crucial not only for the investigation but also for the international PR war surrounding the issue, security analyst and former UK army officer Charles Shoebridge told RT. Russia's investigative committee has released the name of a key witness into the downing of MH17 over East Ukraine last July. The witness is Evgeny Agapov, an aviation armaments mechanic in the Ukrainian Air Force and he is currently under Russian state protection. Meanwhile on Tuesday a Russian missile manufacturer announced the results of its own probe. The BUK manfuactuer Almaz-Antey claims it knows what type of missile was responsible for the crash. The manufacturer says the damage caused to the aircraft is consistent with an outdated BUK M1 missile which has not been produced since 1999. The results of their analysis were passed on to international investigators. RT: Let's focus on the witness accounts revealed by Russian investigators first. How are they going to affect the international investigation? Charles Shoebridge: The naming of this person is a significant step for a number of reasons. First of all, of course, it bolsters his credibility enormously and not only for the investigation but also in terms of the international PR war that is going on online and elsewhere around this whole issue of who was responsible for MH17 and what capital can be gained from it in a political sense. So the fact that he has been identified shows the obvious point that he actually exists – this person hasn’t just been made up. But more importantly, it does give credibility to what he is saying because he was a person in a position to actually know what he is talking about. He is a person who has been working in the Ukrainian Air Force, who had direct experience and knowledge - if what he is saying is true, of the situation on the ground in respect to this particular Su-25 fighter aircraft. RT: On Tuesday, Russia's BUK missiles manufacturer said the plane may have been brought down by an old BUK missile. Meanwhile the official international probe is yet to reveal its results. How is this going to play out? CS: …With regard to this mechanic, it must be said that his evidence must be attacked on a number of fronts, whether he is telling the truth or not he can be attacked on these fronts. First of all, of course, it can be obviously said that he is just simply lying, that he has a motive to lie and people can look at that and find the motives they want to. But also what is going to be crucially important is the degree to which this witness’s evidence matches the physical evidence that has been taken from the ground. Let’s not forget that the scene was secured by, shall we say, the pro-Russian rebels on the ground at the time. 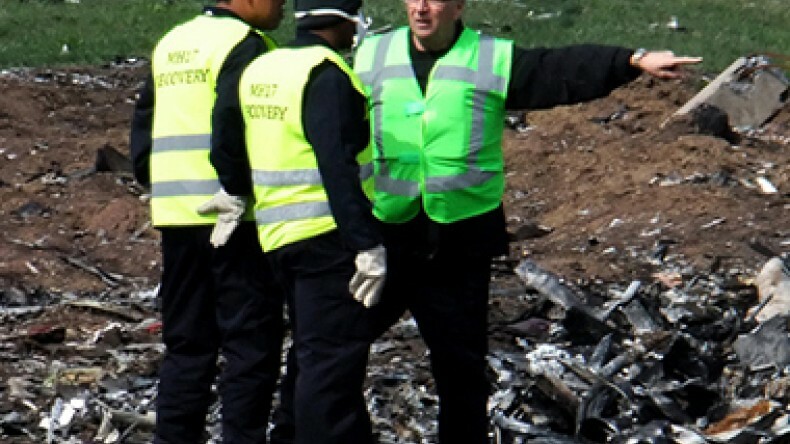 The Dutch investigators have recovered a certain amount of evidence which then plays into a very significant development [on Tuesday] where the manufacturer of the BUK missile, that’s alleged to have been responsible by many for the shooting down, actually came out and said from the shrapnel and from the trajectory of the weapon that they have worked out. Political analyst Aleksandar Pavic agrees that having an eyewitness in this investigation is a major development. He also suggests that Western mainstream media might try to marginalize this new witness and even discredit him. As for the official Dutch investigation, Pavic says it is taking too long, which makes everyone feel uncomfortable.